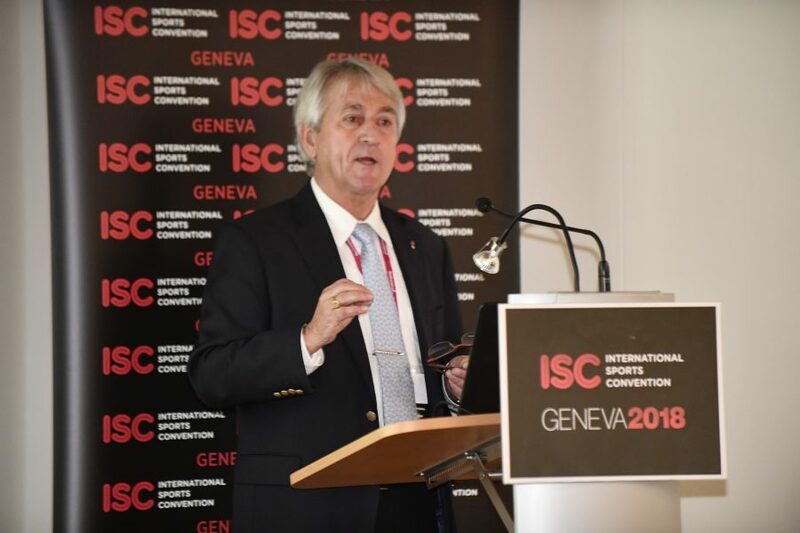 The International Sports Convention 2018 was delighted to welcome Dr HC Klaus Schormann as a speaker on the first afternoon of this year’s event. Dr Schormann spoke with passion about the sport of Modern Pentathlon and its proud heritage. Modern Pentathlon was created as early as 708BC and has been included in the Olympic Games for the first time in 1912. The five traditional events of fencing, swimming, riding, pistol shooting and cross country running have historical pillars but Dr Schormann accepts that the sport faces challenges to attract new athletes. He mentioned that steps have already been taken to widen its appeal. Originally it was a sport that was popular amongst military – usually male – athletes. Wider masses are now involved and since the 2000 Summer Olympic Games in Sydney, women have competed. “The Modern Pentathlon is now all about Creating Events and Entertaining People”, stated Dr Schormann. For the first time the sport will be featured in the Urban Games, due to be staged next year in Los Angeles. “It is important we take it to big mega-cities”, emphasized the speaker. With laser shooting becoming increasingly popular, the sport also accepts that it is a fun way of engaging participants – it is something that people can try easily, even in shopping malls and on the street. It is a way of promoting and driving tourism also. “The sport is open to all,” said the speaker. “We hope we are heading in the right direction. Dr Schormann also paid huge credit to the Para-Olympic Movement and their participation with Para Pentathlon.